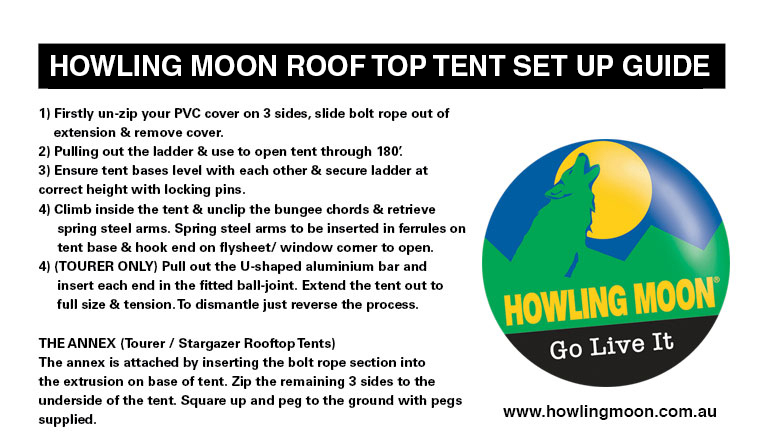 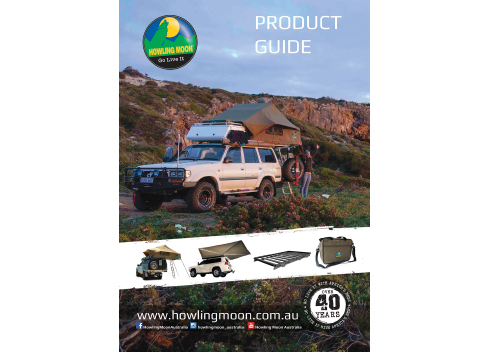 The Howling Moon Tourer is a comfortable solution for the serious adventurer. 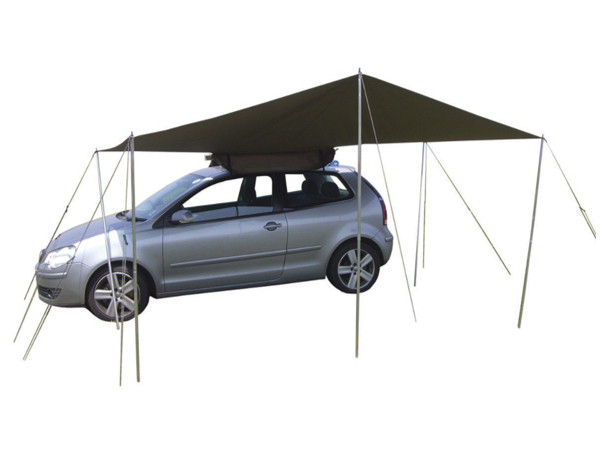 To date this has been our most copied design on the market. 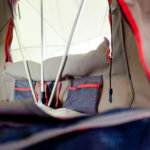 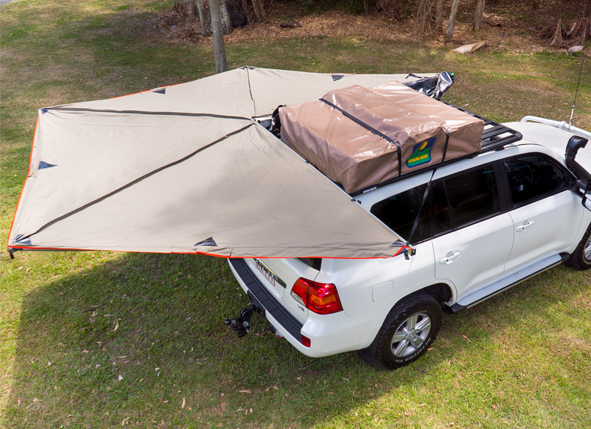 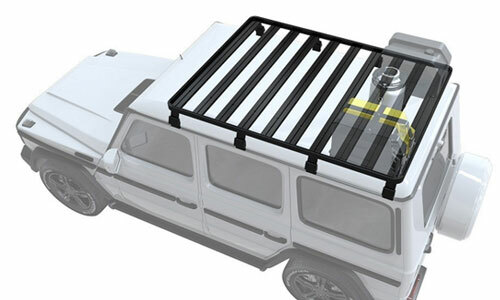 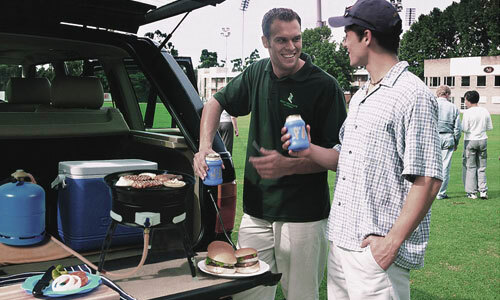 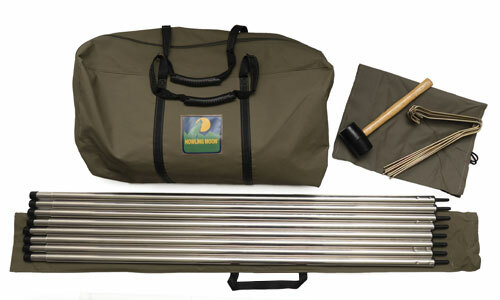 The Tourer allows you to stay dry when entering and exiting the tent. 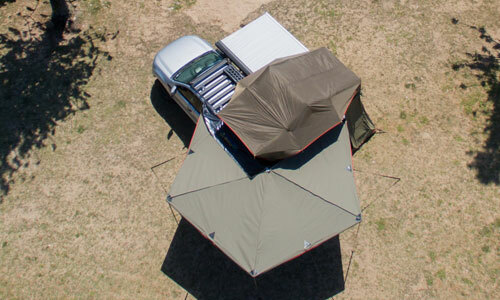 See how it extends over the stairs. 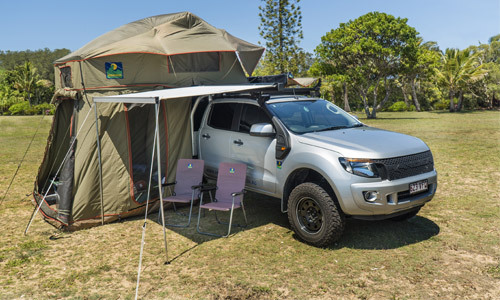 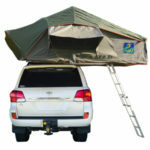 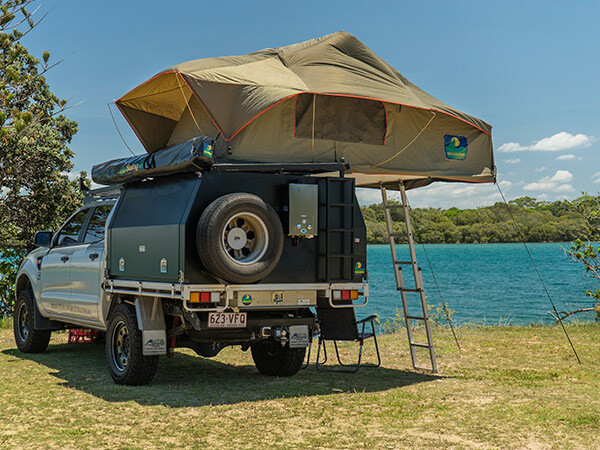 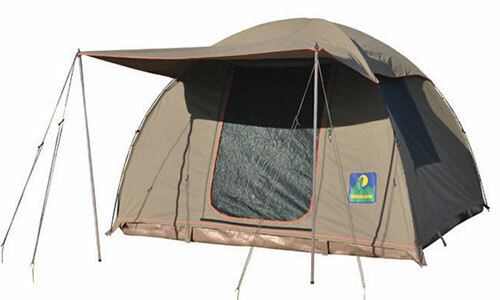 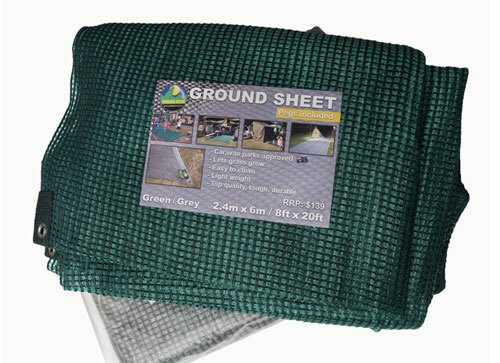 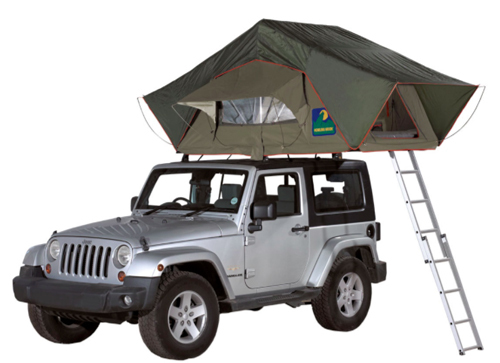 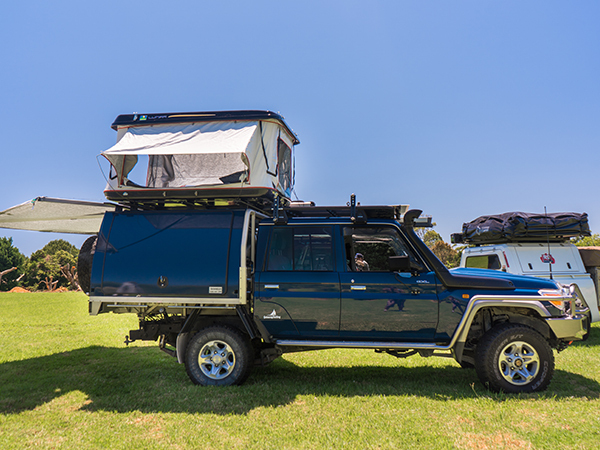 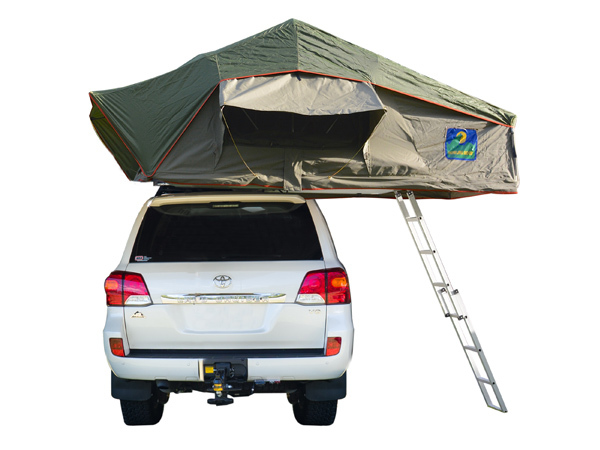 It has two side windows, back and rear window allowing good ventilation through the tent. 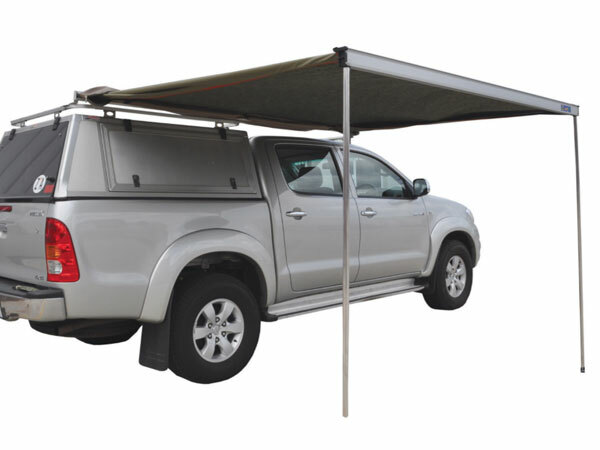 One can purchase the optional extension that allows you to create an additional living space for the kids to sleep or kitchen/shower or change room. 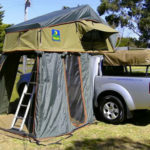 The extension has a front door and a small awning. 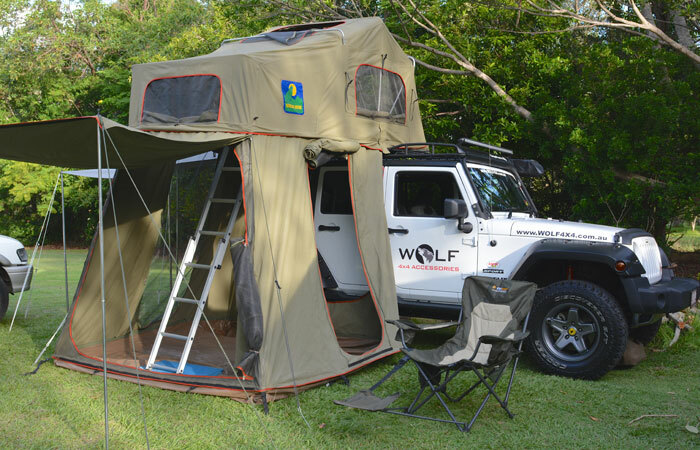 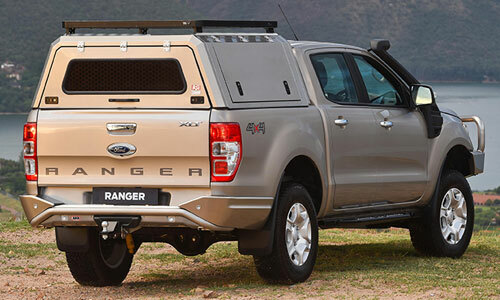 It has two side doors and a rear door that allows easy access to the vehicle. 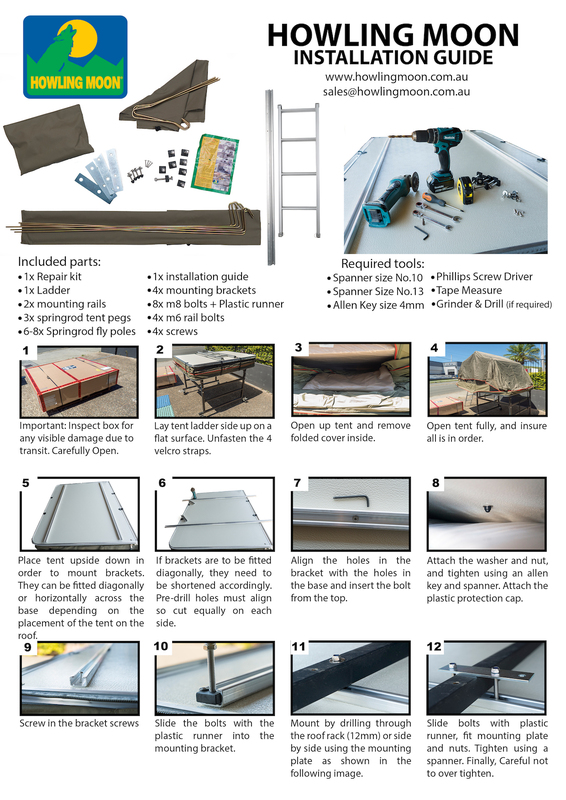 The extension can easily be zipped on (less than a minute)and the PVC floor can be unzipped allowing easy cleaning or create a shower room. 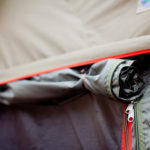 The extension comes in nylon and ripstop but most find the nylon more than adequate. 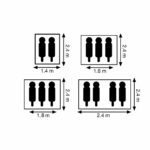 Ideal height for extension to be fitted is 185cm – 215cm but you can do some hemming if needed or anything above 220cm we can custom make to your needs.